The town of Wadesboro dates back to 1783 when it was founded by Capt. Patrick Boggan and Col. Thomas Wade, famous Revolutionary patriots. A settlement had grown along the banks of the Pee Dee River but a more centralized location was needed for the county seat. The new site was found and seventy acres of land were purchased by Patrick Boggan. Streets were laid out and named for Revolutionary War notables including Generals George Washington, Nathaniel Greene, Daniel Morgan and Griffith Rutherford; Colonels Thomas Wade and William Washington; and Governors Richard Caswell and Alexander Martin. The town was first called New Town, later changed to Wadesborough and then Wadesboro. The land on which New Town was established comprises the main business section today. 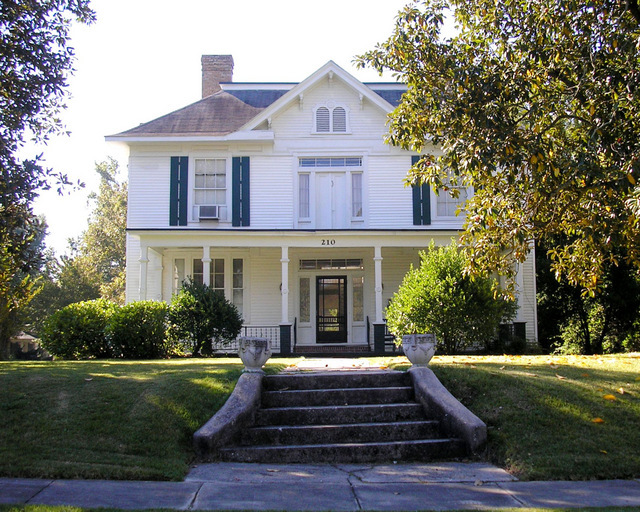 The oldest house in Wadesboro is the Boggan-Hammond House on East Wade Street. Built by Capt. 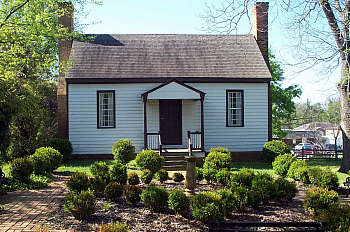 Patrick Boggan for his daughter, Nellie, wife of William Hammond, it is now a historical museum maintained by the Anson County Historical Society. The museum is open on special occasions or by appointment. In the early days of the town, taverns flourished and stagecoach travelers stopped in Wadesboro to pass the night at places like Buck’s Tavern which was located on the present site of the First United Methodist Church at Greene and Morgan Streets. On Sept 26, 1787 Andrew Jackson spent the night at Buck's Tavern in uptown Wadesboro in order to obtain a license to practice law. The county’s third courthouse was built in 1820 of brick at the southeast corner of Wade and Greene Streets. A fourth courthouse, also of brick, was built on the northeast corner of Wade and Greene Streets with the cornerstone laid in 1854. On April 2, 1868, a great fire swept through Wadesboro destroying the courthouse and about 30 other buildings. Practically all the records of the Superior Court, county court and marriage records were destroyed. With the brick walls still intact, the fifth courthouse was built in its ashes. The sixth courthouse, standing today on Greene Street between Wade and Martin, was built in 1912. In 1894, George Little, later joined by his brother, Henry Wall Little, opened a hardware store on South Greene Street. The store, H.W. Little and Co., is still owned and operated by the Little family at 109 S. Greene. Prior to the Great Depression, the store was the marketing center for cotton, Anson County's main crop, and kept track of world prices at the New York Cotton Market with Western Union delivering a market bulletin every 15 minutes. Wadesboro was a thriving textile town until the early 1990’s when it felt the effects of the decline in the US textile industry as did other textile towns in North Carolina. There are textile mills remaining today in Wadesboro that have found unique and innovative ways to remain viable in the fiber and textile industry. 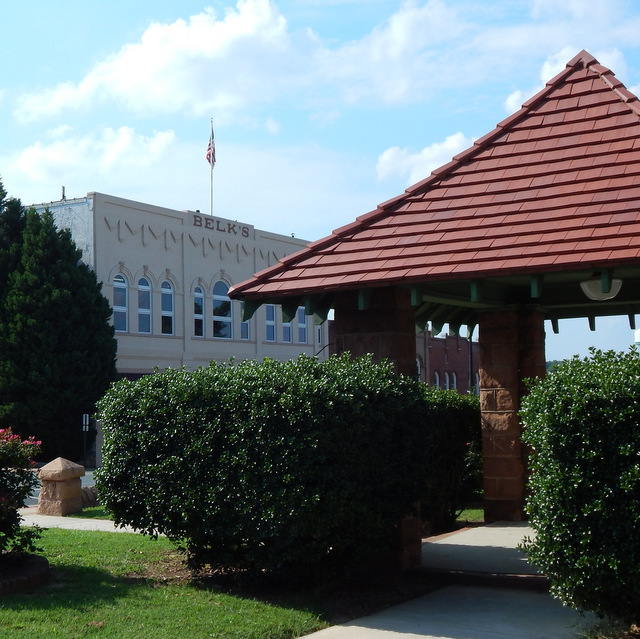 Through the mid 1900’s, Wadesboro was a hub for citizens of the county and was a bustling town with crowds of people walking the downtown streets. 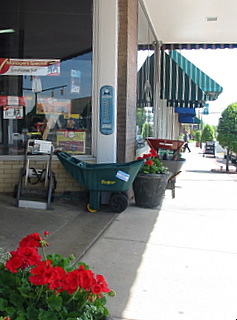 Traveling into town from the surrounding countryside, Ansonians would take in a double feature at the Ansonia Theatre, get a haircut, have lunch at the tea room, have a milkshake at the Parson’s Drug soda fountain, and patronize the dry goods and hardware stores of local merchants. 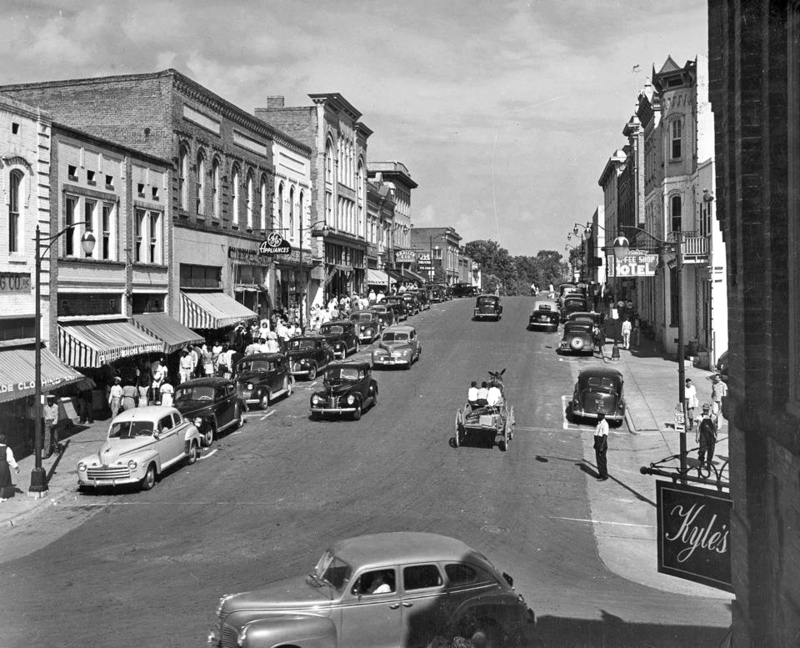 Visitors today can still see echoes of Wadesboro’s past in the buildings and architecture of the Uptown business district and surrounding residential streets. Contact the Anson County Historical Society for more information on the history of Wadesboro and Anson County. 704-694-6694. 206 E. Wade Street, Wadesboro, NC 28170.